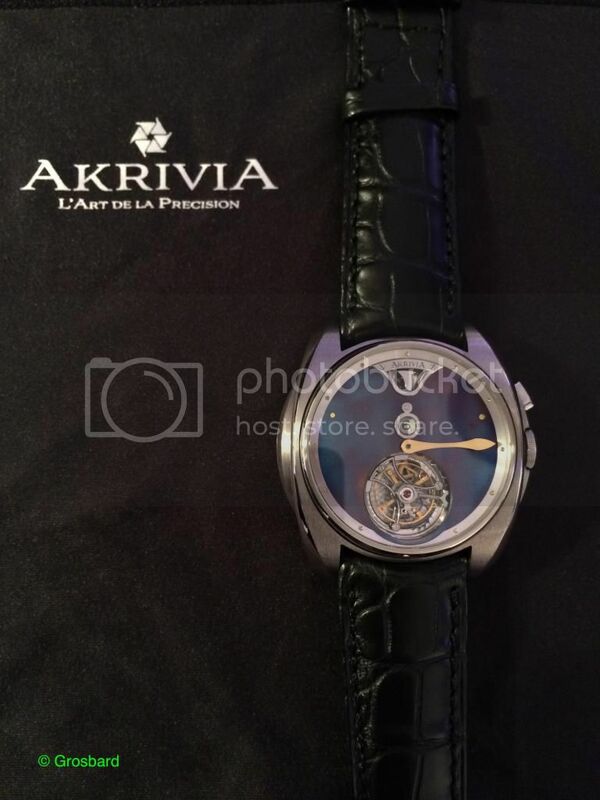 At SalonQP, I had the pleasure to see the latest prototype from Akrivia. The first day of SalonQP was the debut of this prototype. 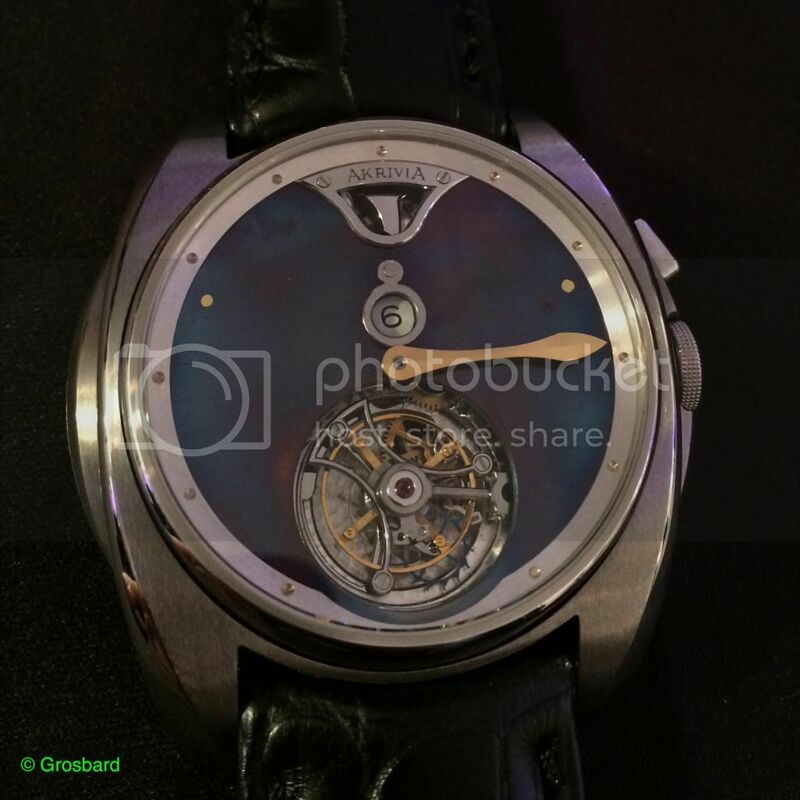 In fact, the prototype is so new that Rexhep Rexhepi, the head watchmaker of Akrivia, was a few hours late for the start of SalonQP because he was still finalizing it! You can see right away that the watch here has some interesting features: A jump hour indication, a tourbillon, and striking hammers visible through the window at 12 o'clock. Another interesting thing that you notice upon further inspection is the finishing. The entire dial is blued steel! It's very good looking, and it also contrasts beautifully with the black-polished windows that frame the jump hour indication and the striking hammers. Here's a close-up so you can see the level of finishing a little better. Not the greatest picture because of the low light, but hopefully you get a sense of the beauty. Since it's a prototype, this is not necessarily the actual case that will be used for the watch when it's released. Also, I'm sorry to say that my memory is failing me a bit and I don't remember what the striking hammers on this watch are for. i.e. I don't remember if this is a minute repeater, or has some other chiming function.